Dallas - New Orleans - Dallas - Austin - San Antonio-Houston 9 Days "New"
In-Depth sightseeing within most of attractions. Get to know why everything is bigger in Texas or Texas size. Guests will have a chance to see NBA games. Learn the spirit of “Cowboy culture”, enjoy the world famous “Rodeo”, have a taste of “Texas Steak”. Visit the most want Bayou Rum Distillery from Pirate of Caribbean, take an amazing ride to the top of Louisiana State Capitol the tallest capitol in the U.S.
French Quarter Custom Carriage Tours, chance to fully enjoy the most distinct and sought-after Cajun Food in the nation. Oak Alley Plantation, Swamp Tour, Mardi Gras World, Garden District, National World War II Museum and Mississippi Steamed Jazz Cruise, fully discover is amazing city New Orleans. 1. Free Airport Pick-up IAH and HOU（George Bush Intercontinental Airport and William P. Hobby Airport）9:00AM-10:00PM； Paid Pick-up: Available 24hrs, $100 for the 1st and 2nd guest, $20 extra per guest starts from the 3rd guest. Rodeo Night Tour Enjoy the authentic cuisine of Texas, and then we start to explore more about the town, it’s a great place to walk around. And then we will enjoy the Stockyards Championship Rodeo; theStockyards Championship Rodeo maintains a strong commitment to visitors looking for an authentic Western Cowboy Experience. The show features bull riding tie down roping, team roping, barrel racing, bronc riding and break away roping. Dallas, a modern metropolis in north Texas, is a commercial and cultural hub of the region. Downtown’s Sixth Floor Museum at Dealey Plaza commemorates the site of President John F. Kennedy’s assassination in 1963. In the Arts District, the Dallas Museum of Art covers thousands of years of art. Dealey Plaza is a city park in the West End district of downtown Dallas, Texas. It is sometimes called the "birthplace of Dallas". It also was the location of the assassination of U.S. President John F. Kennedy, on November 22, 1963. The Dealey Plaza Historic District was named a National Historic Landmark in 1993to preserve Dealey Plaza, street rights-of-way, and buildings and structures by the plaza visible from the assassination site, that have been identified as witness locations or as possible locations for assassins. Pioneer Plaza is a large public park located in the Convention Center District of downtown Dallas, Texas (USA). It contains a large sculpture and is a heavily visited tourist site. Adjacent to the plaza is the Pioneer Park Cemetery which features the Confederate War Memorial. Behind the Pioneer Square is a graveyard that is said to have buried the pioneers of the Midwestern United States in the early years. Later, this cemetery became part of the city center. Dallas City Hall is the seat of Dallas municipal government, located at 1500 Marilla in the Government District of downtown Dallas, Texas (USA). The current building, the city's fifth city hall, was completed in 1978 and replaced the Dallas Municipal Building. The inverted V-shaped body can form a large shadow, making the square in front of the City Hall a good outdoor space for people to stay. Viewed from the side, the City Hall is like the shape of a map of Texas. The Dallas Museum of Art Then we will come to the Museum of Art (150 minutes). It collects more than 24,000 pieces of art of works, from the 3,000 years ago to the present, and open to public for free. The museum is also well known for its flexible exhibition policies and excellent educational programs. George W Bush Library Located on the campus of Southern Methodist University, this presidential center opened in 2013. It features the second largest presidential library in the country and contains the offices of the George W. Bush foundation. We will arrive at the Capital city of Texas: Austin. Guests will have a chance to go inside for the State Capitol, contains the offices and chambers of the Texas Legislature and the Office of the Governor. Next, we will visit Texas Military Forces, a museum about the history of Texas' militia, volunteer forces and Texas Military Forces from 1823 to the present. . At night, you may choose to join our Night Tour in San Antonio. Special Notes: 1. If Texas State Capitol is closed, we only visit outside. 2. Texas Military Forces Museum is closed on every Monday, will not visit if closed. Texas State Capitol Situated in downtown Austin, Texas' capitol building was completed in 1888 in an Italian Renaissance Revival style. Covering over 51 acres, it was added to the National Register of Historic Places in 1970. University of Texas at Austin informally UT Austin, UT, University of Texas, or Texas in sports contexts, is a public research university and the flagship institution of the University of Texas System. Texas Military Forces Museum The museum is located in historic building 6, which was originally built in 1918 as a mess hall. The indoor area of the museum has 45,000 square foot and exhibits memorabilia, photographs, dioramas, uniforms, weapons, vehicles and other military accessories used from 1825 to the present. Natural Bridge Caverns are the largest known commercial caverns in the U.S. state of Texas. The caverns feature several unique speleothems and other geological formations. The temperature inside the cave is 21 degrees Celsius (70°F) year-round and the humidity rate is a constant 99 percent. The caverns are still very active and considered living. Due to the porosity of the limestone, rainwater travels downwards through the layers of rock, where it dissolves out calcite, a weak mineral that makes up all the speleothems at Natural Bridge Caverns. After exiting the limestone, water enters the caverns where it flows and drips constantly throughout, causing the formations to retain a waxy luster that can be seen in few caverns. In the morning, we will go to the Alamo Mission. Next, the Buckhorn Museum features wildlife from all over the world; including fish from the seven seas, animals from every continent and strange animal oddity which have been collected for over 100 years! Later on, we will visit Historic market Square and Tower of the Americas. The Alamo originally a Roman Catholic mission, was the site of a famous historic battle in 1836 in which the Mexican army laid siege to the building that was defended by a small group of Texans. Buckhorn Saloon& Texas Ranger Museum Located right in the heart of downtown San Antonio, we are two blocks from the Alamo and one block from the Riverwalk. For over 131 years, The Buckhorn Saloon has been known as a gathering place for good conversation, great food and spectacular wildlife exhibits. Today, the saloon houses a Café, Gift Shop, Shooting Gallery and our two museums, the Buckhorn Museum and the Texas Ranger Museum. Historic Market Place Enjoy the sights and flavors of old Mexico at Historic Market Square, a favorite of locals and tourists for generations. Explore over 100 locally owned shops and stalls, all at a festive indoor mall famously described as the largest Mexican market outside Mexico. Find authentic Talavera pottery, exotic curios and handcrafted works of art. Stay for the gourmet Mexican cuisine at Mi Tierra and La Margarita, or kick back at the Farmers Market Food Court and enjoy the show on the stage. Tower of Americas is a 750-foot (230-meter) observation tower-restaurant located in the Hemisfair Park on the southeastern portion of Downtown San Antonio, Texas, United States. The tower was designed by San Antonio architect O'Neil Ford and was built as the theme structure of the 1968 World's Fair, HemisFair '68. First, we will stop by Toyota Center, an indoor arena famous of the Houston Rockets. And then head to Rice University. Later, we will go for the Houston Museum of Natural Science. The museum complex consists of a central facility with four floors of natural science halls and exhibits, the Burke Baker Planetarium, the Cockrell Butterfly Center, and the Wortham Giant Screen Theatre. In the afternoon, you won’t want to miss George RanchHistoric Park. Toyota Center is an indoor arena located in downtown Houston, Texas. It is named after the Japanese automobile manufacturer Toyota. The arena is home to the Houston Rockets of the National Basketball Association, and the former home of the Houston Aeros of the American Hockey League. Rice University William Marsh Rice University, commonly known as Rice University, is a private research university located on a 300-acre (121 ha) campus in Houston, Texas, United States. 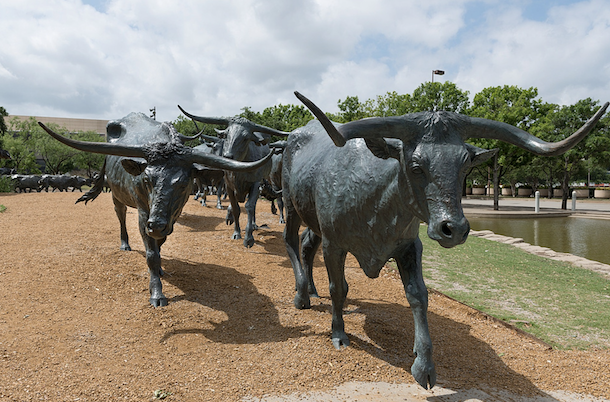 The university is situated near the Houston Museum District and is adjacent to the Texas Medical Center. Hermann Park One of Houston's oldest public parks, Hermann Park was first envisioned as part of a comprehensive urban planning effort by the city of Houston in the early 1910s. Following the recommendation of a 1913 report which identified the then-rural area between Main Street and Brays Bayou as ideal for a large urban park, real estate investor and entrepreneur George H. Hermann, who owned most of the area and served on the city's parks board, bequeathed his estate to Houston for use as a public green space in 1914. Houston Museum of Natural Science Founded in 1909, the HMNS is one of the top 5 most popular museums in the United States based on its large number of special or great exhibits. In addition to its exhibits, it complex consists of a central facility with four floors of natural science halls, the Burke Baker Planetarium, the Cockrell Butterfly Center, and the Wortham Giant Screen Theatre. George Ranch Historic Park is an internationally-recognized living history site that authentically preserves and interprets the four-generational storyline of a remarkable Texas family beginning in 1824 and spanning more than 100 years. Just 30 miles southwest of downtown Houston, the Park is located on a 20,000-acre+ working ranch featuring historic homes, costumed interpreters and livestock. The Park aims to educate people of all ages about Texas history and the region’s unique heritage through programming that connects and inspires learners of all ages. We will make our first stop to Battleship Texas, took part in some of the most significant naval battles of the 20th century during both world wars. Then go for San Jacinto Monument, the world's tallest masonry column. The most important part of the day is NASA Space Center.We will go to the Space Center for Tram tour to Rocket Park, see the control center astronaut training center, space shuttle. USS Texas Aboard the Battleship TEXAS! Battleship Texas took part in some of the most significant naval battles of the 20th century during both world wars. Now docked along the Houston Ship Channel, she serves as a memorial to those turbulent times. Come walk her decks and imagine life as a sailor! San Jacinto Monument The San Jacinto Battlefield, of which the monument is a part, was designated a National Historic Landmark on December 19, 1960, and is therefore also automatically listed on the National Register of Historic Places. It was designated a Historic Civil Engineering Landmark in 1992. Dolphin Sightseeing TourDolphin Cruise in Golf of Mexico brings you up close to view the dolphins in their natural habitat, see birds and marine life. We are usually able to get a close up view of playful dolphins jumping. NASA Space Center This facility in Houston is where NASA conducts human spaceflight training, research, and flight control simulations to prepare astronauts who are preparing to go into the vast expanse of space. We will go to the Space Center for Tram tour to Rocket Park, seethe control center, astronaut training center, space shuttle. The center features more than 400 space artifacts, permanent and traveling exhibits, attractions and theaters related to the exciting future and remarkable past of America's human space-flight program. 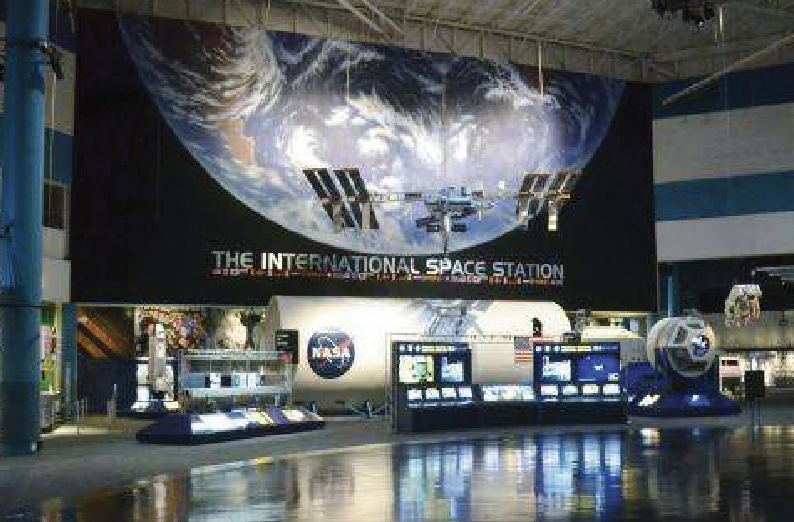 Uncover the mysteries of outer space on an exhilarating visit to the Space Center Houston, the official visitor center for NASA's Johnson Space Center. During your self-guided tour of one of Houston's top attractions, ride a tram on an orientation tour of the Space Center; see enthralling exhibitions of full-size rockets and rock samples; and marvel at the real Apollo 17 space shuttle, which returned from the moon in 1972. Dolphin Cruise in Golf of Mexico, we bring you up close to view the dolphins in their natural habitat, see birds and marine life. We are usually able to get a close up view of playful dolphins jumping. We will depart in the morning and start the tour. Our first stop will be the Bayou Rum Distillery. We will continue our visit in Baton Rouge, capital of the U.S. state of Louisiana and its second-largest city. The Louisiana State Capitol is the tallest capitol in the U.S. Later we will head to the French Quarter and enjoy the rest of day. Bayou Rum Distillery Bayou Rum is distilled from locally grown sugarcane in southern Louisiana, USA. The signature “sugarhouse” recipe uses a blend of 100% natural, unrefined Louisiana sugarcane and molasses. Every batch of Bayou Rum is copper pot-distilled and bottled by hand. Louisiana State Capitol is the seat of government for the U.S. state of Louisiana and is located in downtown Baton Rouge.At 450 feet tall and with 34 stories, it is the tallest building in Baton Rouge, the seventh tallest building in Louisiana, and tallest capitol in the United States. French Quarter The historic heart of the city is the French Quarter, known for its French and Spanish Creole architecture and vibrant nightlife along Bourbon Street. It is also the oldest. Dating back to the city's founding in 1718, this National Historic Landmark district is known for its nightlife, restaurants, and celebrations. Its most famous locale is Bourbon Street. Bourbon Street Extending 13 blocks in the French Quarter, Bourbon Street is the most famous thoroughfare in New Orleans, a top destination for generations of partygoers. It is home to some of the best bars and restaurants in the city. Jackson Square This historic park in the French Quarter is home to the St. Louis Cathedral. It's history dates all the way back to 1721, when it was built by French colonists in the area. Cathedral-Basilica of Saint Louis, King of France also called St. Louis Cathedral, is the seat of the Roman Catholic Archdiocese of New Orleans and is the oldest cathedral in the United States. New Orleans is the largest city in Louisiana and is also one of the world's most fascinating cities – it's home to a truly unique melting pot of culture, food and music. The day will start from Mardi Gras World. When we reach Oak Alley Plantation, our attention, would be attracted to the astonishing beauty that the plantation presents. We will also have a Swamp Tour, a fun adventurous yet safe boat ride that showcases the unique eco system of New Orleans region. Guests can enjoy the rest of your day exploring the area. Mardi Gras World (also known as Blaine Kern's Mardi Gras World, MGW) is a tourist attraction located in New Orleans. Guests tour the 300,000 square foot working warehouse where floats are made for Mardi Gras parades in New Orleans. Oak Alley Plantation This historic plantation on the Mississippi River in southeastern Louisiana is a National Historic Landmark. 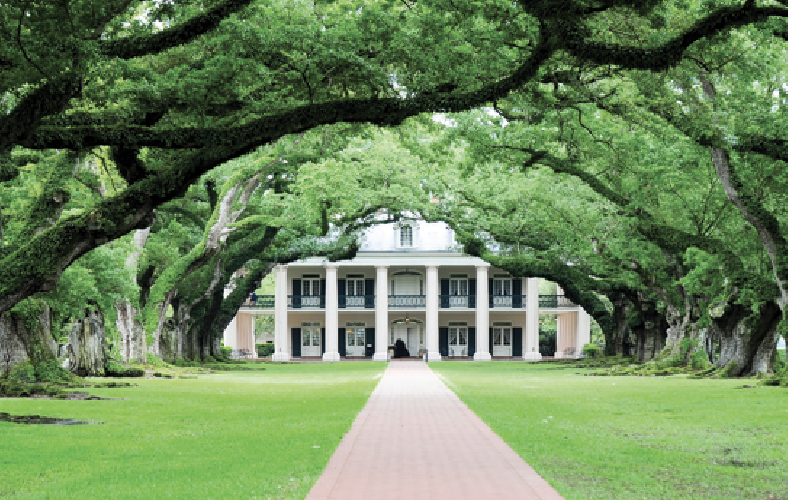 In addition to its function as a museum, the Oak Alley Plantation has served as a set for films and TV shows. Swamp Tour Take a trip down the bayous of Louisiana on a swamp boat tour to encounter the local wildlife, like alligators, turtles, birds, snakes, and much more! You'll also get a lesson in Cajun culture. First thing in the morning we are going to visit the National WWII Museum, formerly known as the D-day Museum, a military history museum emphasizes the American experience in World War II. Around noon we will take you to the Mississippi Steamed Jazz Cruise. The cruise from the heart of the French Quarter shows you why the city was founded on the beautiful crescent of the lower Mississippi River.The live Jazz performance on the steamboat will make you an unforgettable trip. Pleae book flight departure from Houston IAH or HOU airport after 22:00pm, New Orlean MSY airport after 15:30 pm. Jazz Steamboat Mississippi The two-hour cruise from the heart of the French Quarter shows you why the city was founded on the beautiful crescent of the lower Mississippi River. New Orleans is well-known as the birthplace of jazz. The live Jazz performance on the steamboat will make you an unforgettable trip. Itinerary will be subject to traffic and weather. The sequence of the attractions might be changed according to actual and practical situation for better service. In case of attraction closures (due to holidays or construction, etc. ), tour guide may make some necessary changes to the itinerary accordingly. This tour does not accept any City Pass or your own tickets for the attraction. Guests need to purchase admission tickets from tour guides. If the weather condition, war, general strikes and other unforeseen circumstances interrupt the journey, our company reserve the right to rearrange the journey without refunding the tour fee. If visitors cannot join the tour because of personal reason, the fee for hotels and transportation is not refundable. *Price and schedule are subject to seasonal change without notice. Paid 24-hour pick-up is also available for $100 per first two persons with $10 for each additional person. For customers need to gather at airports by themselves: If the customer is not able to arrive on time, please contact us or your agent 1-day prior to the departure day. For the customers who show up at another time, you need to wait for the next shuttle with customers arriving by nearest flight.